Very early on Saturday, January 15, 2012, I read an article in Salon that said that Rethinking Columbus and the Tempest were being boxed up and removed from classrooms in Tucson, Arizona. They were part of the curriculum of the Mexican American Studies program in the school district. Due to the objection of some people in Arizona, that program has now been shut down. As the day progressed, I began asking colleagues if anyone had a complete list of the books being removed. As of now (Sunday, January 15, 2012), several people are trying to find out more about the books that are being taken away. One colleague pointed me to an audit of the program that includes a lengthy list of books that auditors saw in the classrooms. 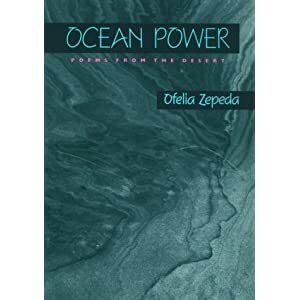 It includes Sherman Alexie's Ten Little Indians and Tonto and the Lone Ranger Fist Fight in Heaven; it also includes Ofelia Zepeda's Ocean Power: Poems from the Desert. The Mexican American Studies program was built on critical thinking. Students learned how to think critically, to question texts, to look at moments in history and portrayals of Latino Americans and American Indians from more than one perspective. The books used in the program are terrific. Some are award winning children's literature, like Matt de la Pena's Mexican WhiteBoy. Some are by writers who are not Latino or American Indian. 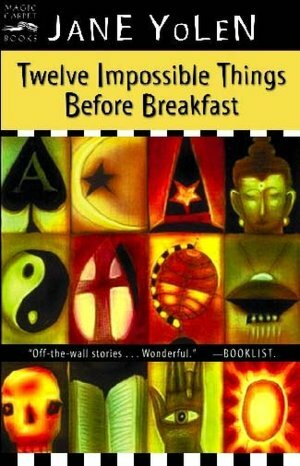 An example of that is Jane Yolen's Twelve Impossible Things Before Breakfast. I asked Jane yesterday morning if she knew whether or not her book was being boxed up. She hadn't heard anything. Opponents of the program argued that the classes were promoting resentment toward a race or class of people. That race or class of people is white. In their (perhaps) unspoken words, thinking critically about America is dangerous and threatening to the existing power structure. I'm pretty sure that Laura Ingalls Wilder's Little House on the Prairie is not on the list. Towards the end of that story, Pa learns that the federal government wants squatters (he doesn't use that word) to get off of Indian land. They load the wagon and as they drive away, they look back and see that that "their little log house and the little stable sat lonely in the stillness." Pa says that it is a great country, "but there will be wild Indians and wolves here for many a long day." Books like Little House teach readers to resent a race or class of people, too, but I doubt it is being removed from classrooms in Tucson. I'll post updates as I get them... If you're in Tucson and saw books being boxed up, please write to me and provide me with titles. You can use my email address (dreese.nambe@gmail.com) or the Contact option in the menu bar above, or, if you prefer anonymity, use the comment box below. Brenda Norrell of Censored News is covering the story and includes a response from Roberto Rodriguez. House Bill 2281 - "public school pupils should be taught to treat and value each other as individuals and not be taught to resent or hate other races or classes of people." Arizona District Court document on the Mexican American Studies program. Precious Knowledge is a documentary about the Mexican American Studies program that includes powerful footage of students and teachers in the program, and, footage of state administrators who characterize the program and people in it as anti-American. See the trailer and information about the documentary at Precious Knowledge. The Save Ethnic Studies website has an extensive archive of court documents, statements, transcripts, student work. The point of the end of Little House on the Prairie is that Pa understands he was wrong to settle in "Indian Territory" (and that the government was wrong to tell him he could, which is at least the story as Wilder tells it). There's no question that the depiction of American Indians in the series is problematic, but I do not think it could be said to teach children to resent a race or class of people. Does it provide some harmful images and encourage misconceptions? Yes. But resentment is not one of them. Wendy, I loved the Little House books too, but the portrayal of Native Americans, while perhaps more sympathetic than usual for their day, still reinforced negative stereotypes - stereotypes designed to foster resentment of native peoples. That doesn't mean I beleive they should be removed from the shelves, just that if they are used in the classroom there should be some critical thinking taught along with them. Ahh, resentment... A perspective not always based on facts. Such an inconvenient truth swarms the following perspective: "The Mexican American Studies program was built on critical thinking. 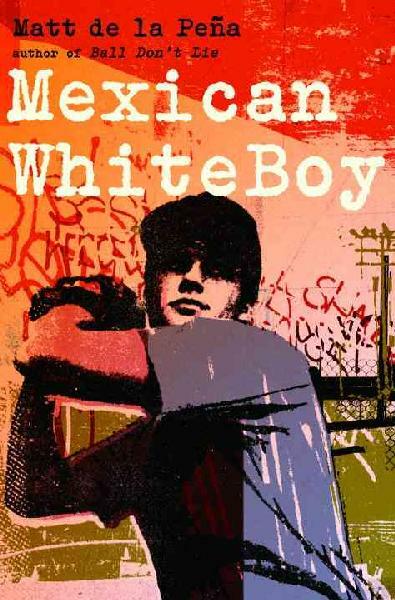 Students learned how to think critically, to question texts, to look at moments in history and portrayals of Latino Americans and American Indians from more than one perspective." Really? If that were true, there would be no controversy. Ahh, critical thinking... Race resentment cannot be cured with race resentment. This is unreal. Where is the ACLU? There has to be a challenge to this absurdity. Reminds me of Miami's move to remove the two children's books about Cuba! The mind is like a parachute. It doesn't work if it's not open. "Really? If that were true, there would be no controversy." Because we know for certain no American bureaucracy would ever lie about anything, and threats to the power structure and status quo have always been allowed, encouraged even. Race resentment is a one way street on which only long-suffering white people may drive. I feel myself channeling the lovely Michelle Obama right now. Situations like this make me WISH I could be proud of my country. What were they thinking? Why are (some) white people so afraid of being overtaken by other races? Because that's what this is about. Anyone who says this isn't about racism is full of baloney. I agree; the ACLU needs to be all over this. How is this program not age appropriate? At what age must a child be before the blinders are removed from her eyes and she realizes that all the LIES she's been told about this country's "great past" are just that: LIES. Someone explain to me why it's okay to lie to children about history (in the way that we were taught that the Civil War was all about "states' rights"!) but yet it's not okay to tell them the honest to god truth. Brigid, I commented that there are problematic depictions of American Indians in the Little House books. I am not unaware of or in denial about this. There is zero evidence, either within the text or in supporting documentation, that these stereotypes were intended to foster resentment of American Indians (nor do I see that they do, regardless of the author's intention). In fact, there is one incidence of Wilder reacting with embarrassment when it was pointed out that particular passage was offensive. I am not a Wilder apologist. I can and do engage in conversation about the ways in which the books depict racist attitudes. But when I see inaccuracy in criticism, I point it out. Being inaccurate in no way helps the cause of raising awareness about racism in these books or others. It just makes those who would deny all criticism stop listening. Meaningful discussion about depictions of American Indians in this series as "wild", and also as "noble savages", certainly have value. Critical thinking goes both ways. And all issues surrounding American Indian stereotypes do not lead back to Laura Ingalls Wilder. Not that I wish to distract from the real issue at hand. I was obviously naive in thinking that no one who read this post could possibly disagree with what Debbie has to say about the issues in Arizona, but Anonymous proves me wrong, and it is scary. I grow increasingly angry as I see the growing list of banned books. I think of how many of those books I was lucky enough to read in high school and that inspired my own career choice and shaped many of my own ideologies. Many others I read in college, and now teach in my own university courses. And yet, the majority I am using in my dissertation because they reflect the experiences and history of my people and other peoples. I wonder how we could organize a venue (online) where we could give testimony on how these books have inspired us to critically think or otherwise empowered us. Also, I wish that someone could get a hold of the entire list that the auditors compiled and post it online. Most-recent Anonymous, the trouble is that the kind of thinking you're describing is exactly what the lawmakers in Arizona don't want. To create such a website is just preaching to the choir. I am so impressed with the students in the 1st video. Tucson should be proud of these leaders.